BBC1’s dark medical conspiracy thriller Trust Me is returning for a second series next week, featuring a brand new cast and premise. Our brilliant KATIE CLARKSON-HILL stars in one of the new leading roles, with MANJINDER VIRK also starring as a guest lead. In this new four-part series, we follow Corporal Jamie McCain, a soldier who was injured and left temporarily paralysed on active duty, now recovering in a Glasgow hospital. When patients on his hospital ward start dying unexpectedly around him, he believes the deaths are suspicious but, unable to move, investigation proves dangerous and difficult. With everyone in the department hiding a secret, catching a culprit seems like an impossible task. 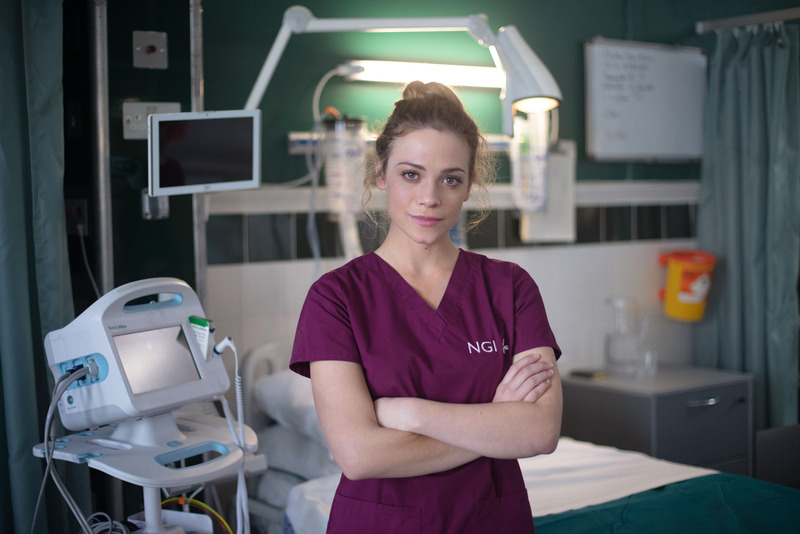 Katie stars as Dr Zoe Wade, one of the ward's doctors who is engaged to and lives with fellow doctor Alex Kiernan. She’s kind and committed with a strong moral compass, but she’s also hiding mental health issues, which have previously forced her to take long stints of leave. Series 2 premieres on Tuesday 16th April at 9pm on BBC1. Check out the creepy trailer below, and make sure you tune in next week.